I recently read an article that said the average adult makes 35,000 decisions per day. Am I the only one who thinks that sounds insane? I’m guessing not. Honestly, it’s no wonder we all have major decision fatigue! There are definitely days where it feels like my brain just can NOT make decisions, and it makes me wish I could just streamline my life to eliminate decision-making altogether. Well, that’s definitely not possible. 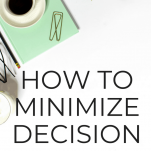 But there are definitely some ways to minimize your decision fatigue big time! 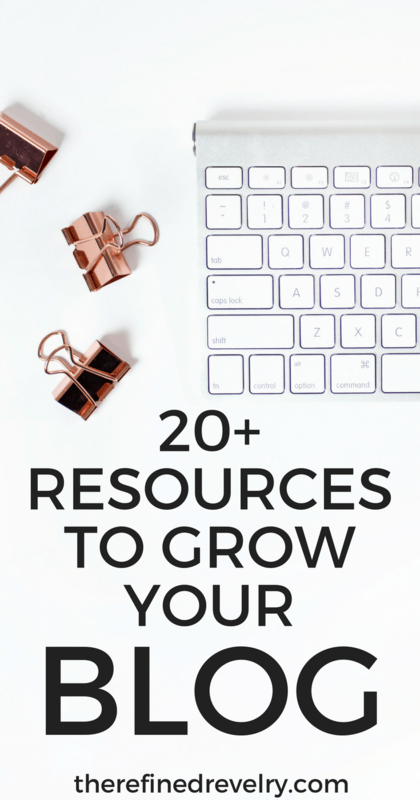 What I find to be the BEST way to eliminate decision fatigue and streamline more of my day is to create routines! So what is a routine exactly? Well, think of it as a collection of habits that you do in the same order every day. Some routines naturally happen, others you have to put a little work into making sure they’re effective and productive. One good example is a morning routine. If I’m being honest, I’m pretty terrible at mornings and have a super hard time getting up in the morning. It also takes me a bit to really wake up once I’m out of bed, so I tend to be kinda crabby. So how do I fix that? With a morning routine. I intentionally decided what habits I wanted for my morning and worked on doing those things every morning until it became a routine that I didn’t have to think about. P.S. If you need to revamp your morning routine, I’m slightly obsessed with The Miracle Morning by Hal Elrod. This book 100% changed my mornings and my entire day. 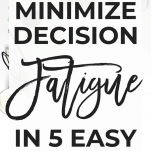 Literally, the central idea of eliminating decision fatigue is cutting down on the number of decisions you have to make. And one way to do that is by making as many decisions as you can AHEAD of time. Think of it as batching your decision-making. Part of this is simply knowing when you make decisions best. I know that it takes me a while to wake up and my decision-making abilities are garbage first thing in the morning. Because of this, I try to make all of those decisions the night before. Other examples of this would be meal planning so you don’t have to decide what to make for dinner every night and picking out your outfits ahead of time so you don’t have to do so every morning. 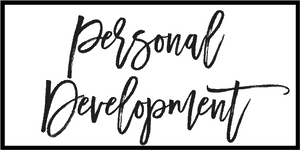 For as often as I talk about planners and to-do lists on this blog, it should come as NO surprise that I definitely live by a schedule. I use an app to plan my calendar and to-do list, so it’s with me literally 24/7 and I’m checking it roughly 100000 times per day. Okay, maybe not quite that many. But you get the idea! So when I say “live by a schedule”, what does that look like? Well, it’s a little easier for my full-time job because I have a lot of meetings at set times, meaning it’s easier to plan my schedule for the day. But when it comes to my side-hustle, I’m basically just fitting in work wherever I can. What I have found to be super effective is scheduling EVERYTHING. Not just writing it on a to-do list, but scheduling it on the calendar. 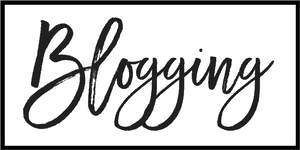 So instead of writing a to-do list that says at some point today, I’m going to write a blog post, I put it right on the calendar saying from 6-8, I’m going to write a new blog post. 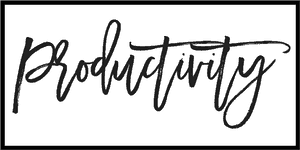 I can definitely be a procrastinator and I’m a LOT less likely to procrastinate on an event on my calendar than I am on a task on my to-do list. 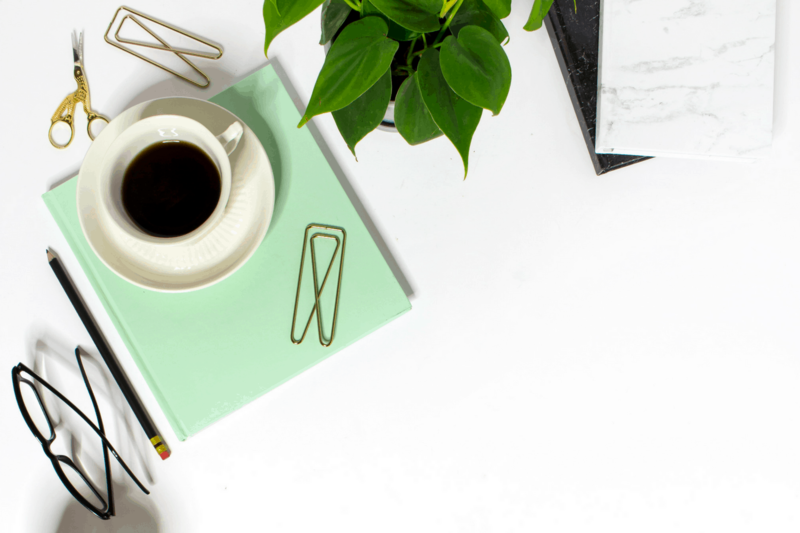 So if you’re struggling to stay accountable to your to-do list, try instead to SCHEDULE everything on the calendar and see if it’s easier to stick to! Deciding what to wear every morning is one of those decisions that on the grand scheme of things really doesn’t matter at all. Yet I could spend WAY too much time standing in my closet and staring at my clothes, trying to figure out what the heck I want to wear that day. As far as personal values, fashion is super low on my list. So I made the decision years ago to significantly limit the options in my wardrobe. First of all, almost all of my clothes are neutral colors. There’s a lot of black and white in my closet, and not much in the way of colors or patterns. 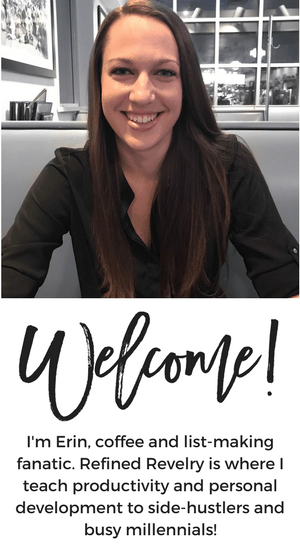 It fits my personal style and makes it super easy to choose outfits every day because everything looks pretty darn similar. Capsule wardrobes have become SUPER popular in the last few years, so there’s a ton of information online about creating one of your own. Basically, the fewer options you have to choose between, the easier the decision is to make! Don’t waste brainpower on decisions that really aren’t that important. Unless fashion is something that’s really important to you, in which case go all out! I swear food decisions are the hardest kind to make. Seriously, how much time do you and your friends or significant other spend arguing back and forth about who is going to choose dinner? Yeah, you know what I’m talking about. Now let me preface this by saying that I can barely cook, so my food options are slightly more limited than most. However, I find that keeping the same foods in my kitchen all the time makes it WAY easier to make food decisions! First and foremost, meal planning. Plan your meals ahead of time so that when you come home from work every evening, you aren’t scrambling to figure out what to have for dinner. When I make my meal plan, I keep it super simple. I choose one breakfast that I’ll have every day that week, and I do the same for lunch. Not only does this minimize decision fatigue big-time, but it’s also cheaper because I’m not buying as much of a variety of foods. As I said, I can barely cook, so my go-to dinners are usually pasta or grilled cheese with tomato soup. But it’s definitely possible to simplify your kitchen and have a few staple meals that are a little more advanced than those! 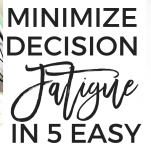 Those are just a few of the changes you can make to help eliminate decision fatigue! What daily habits do you help that cut down on the number of decisions you have to make?